Speaking outside court after the incident, Ant said: "I just want to say I'm truly sorry for what happened". Turning to Donnelly, he said: "As for you, I've missed you". Get Me Out Of Here! Thank you very much, what a warm welcome. REUNITED: Ant and Dec were happier than ever to be reunited (Pic: ITV) BACK TO WORK: The producers weren't sure if Ant would be returning (Pic: ITV) "Shall we move on before I cry?" What a great show to come back to. Dec subsequently presented I'm A Celebrity. It would be like me not being with David, I would be happy, but not happy - if that makes sense. The picture seemed to have been taken in a auto en route to the London Palladium, where the pair are hosting auditions for Britain's Got Talent. "Can't wait to see you back on TV soon", posted a second. 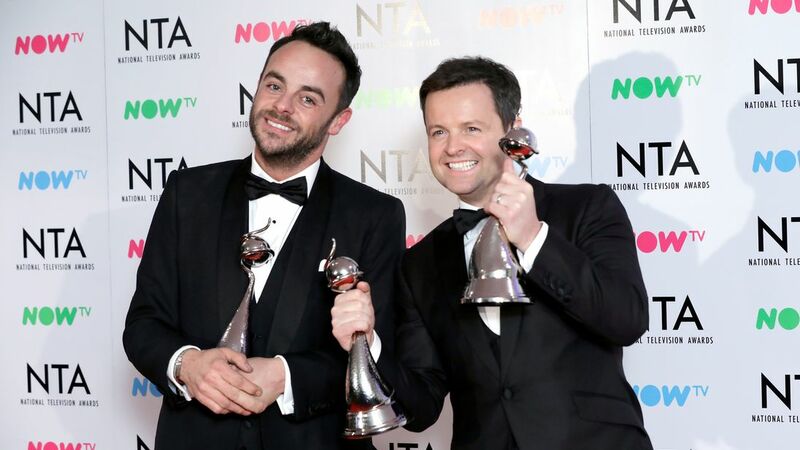 Ant past year announced he'd be taking time out from presenting work after his involvement in a collision in south London while he was driving under the influence.